There is probably no physicist living today whose name has become so widely known as that of Albert Einstein. 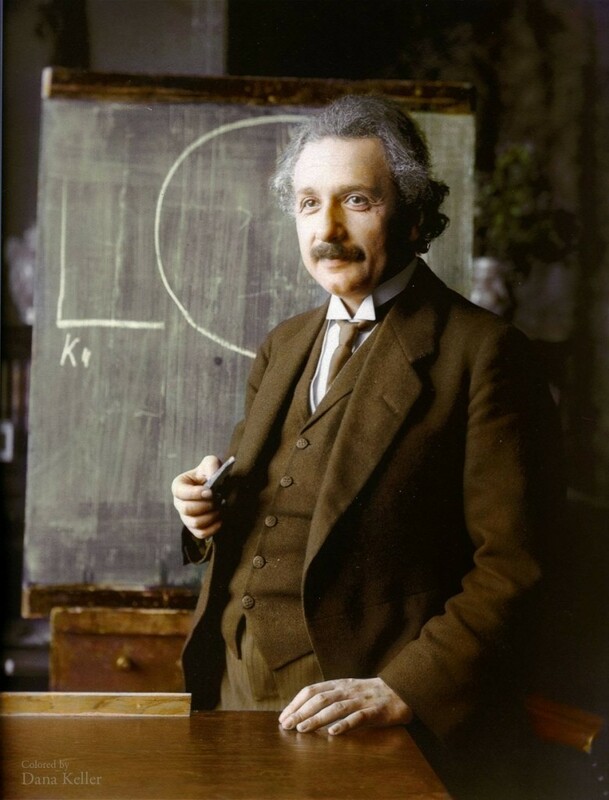 Most discussion centres on his theory of relativity. This pertains essentially to epistemology and has therefore been the subject of lively debate in philosophical circles. It will be no secret that the famous philosopher Bergson in Paris has challenged this theory, while other philosophers have acclaimed it wholeheartedly. The theory in question also has astrophysical implications which are being rigorously examined at the present time. ... Similarly, when a quantum of light falls on a metal plate it can at most yield the whole of its energy to an electron there. A part of this energy is consumed in carrying the electron out into the air, the remainder stays with the electron as kinetic energy. This applies to an electron in the surface layer of the metal. From this can be calculated the positive potential to which the metal can be charged by irradiation. Only if the quantum contains sufficient energy for the electron to perform the work of detaching itself from the metal does the electron move out into the air. 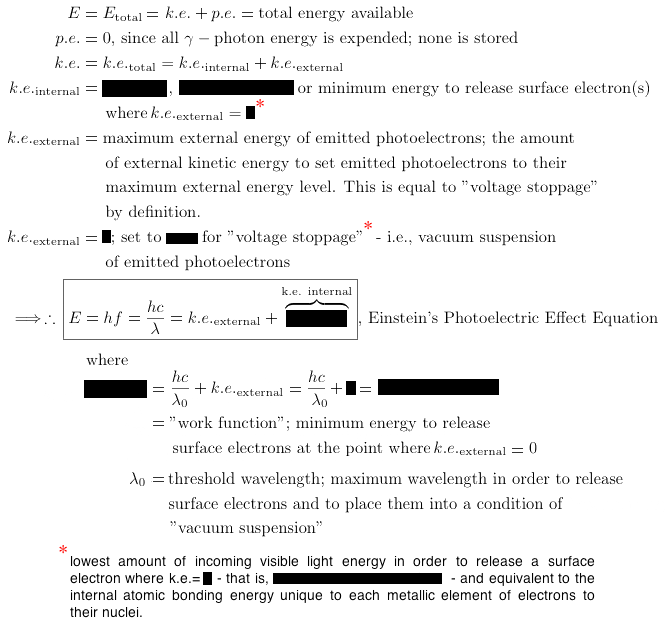 Consequently, only light having a frequency greater than a certain limit is capable of inducing a photo-electric effect, however high the intensity of the irradiating light. 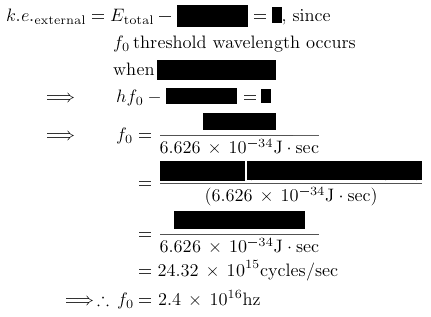 If this limit is exceeded the effect is proportional to the light intensity at constant frequency. 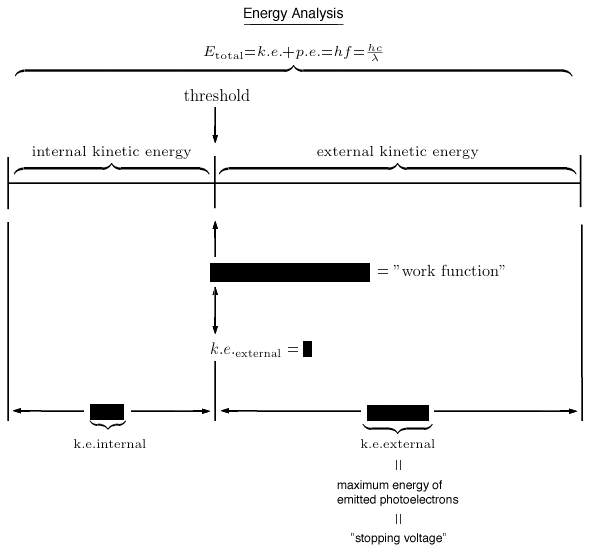 Similar behaviour occurs in the ionisation of gas molecules and the so-called ionisation potential may be calculated, provided that the frequency of the light capable of ionising the gas is known. 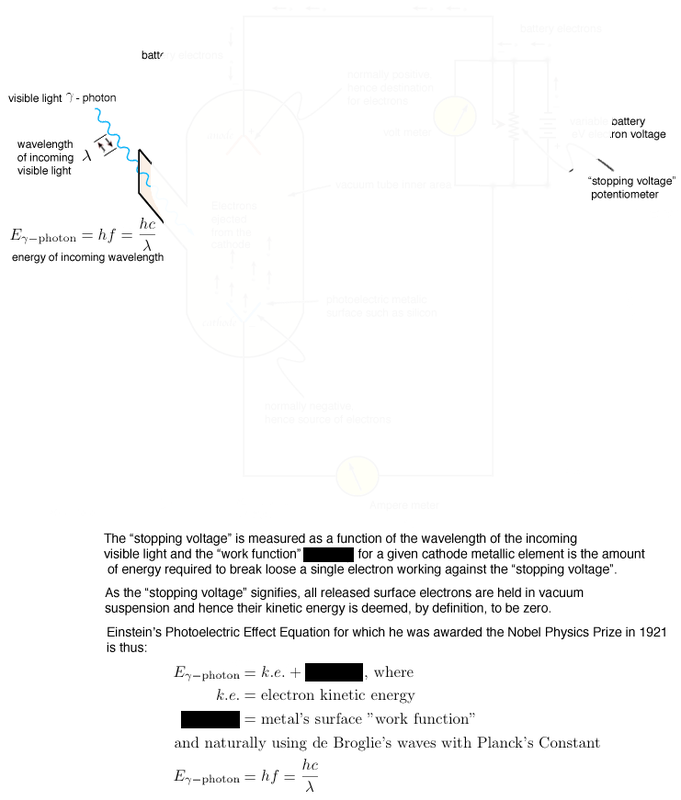 English: "Fundamental ideas and problems of the theory of relativity", delivered to an assembly of Nobel dignitaries but not having to do with the Photoelectric Effect for which he earlier received the Nobel Prize in Physics. German: "Grundgedanken Und Probleme Der Relativitätstheorie"
(iii). 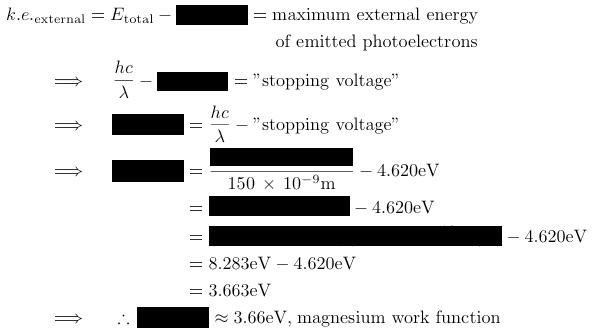 what is magnesium's Ew ( or φ ), work function? (iii). 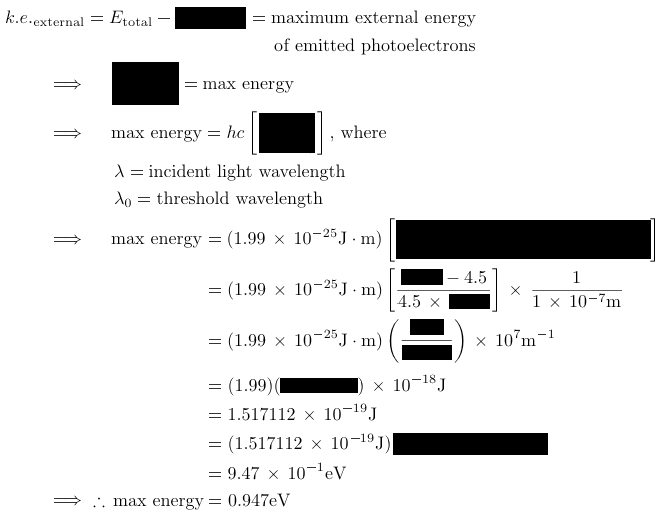 what is the maximum energy of emitted photoelectrons? (iii). 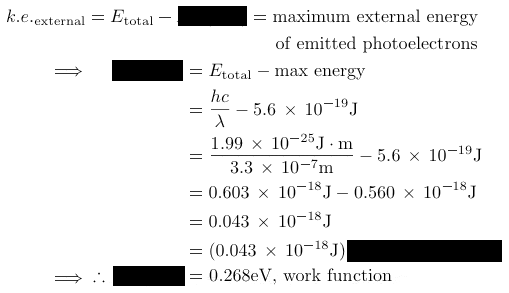 what is the maximum energy of the emitted photoelectrons? (iii). what is the metal's Ew ( or φ ), work function? 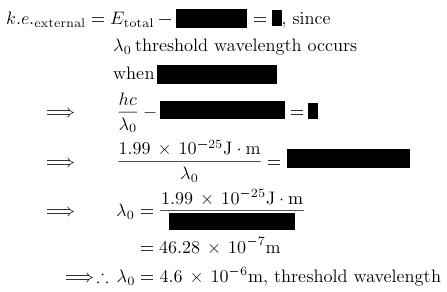 § Problem 4a: what is λ0, the threshold wavelength, for the given metal in Problem 4 above? § Problem 5a: what is the threshold frequency f0 of this metal in Problem 5 above?